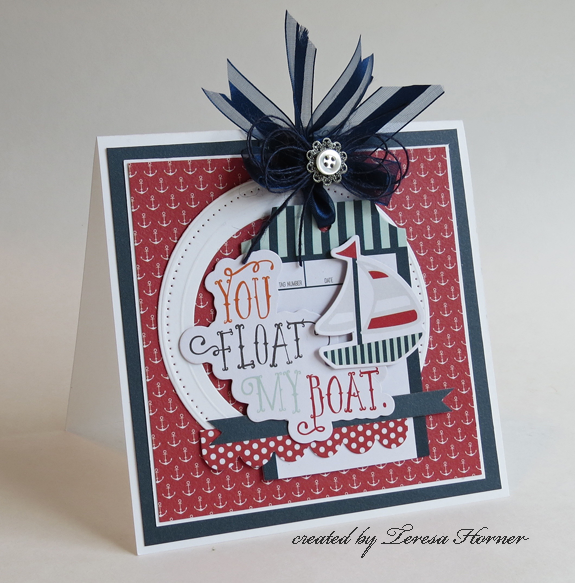 Today I have a few nautical inspired cards to share being that it's summer and everyone finally has the chance to be out on the water. I found these cute papers with lots of red, white and blue nautical patterns on them and had some cute navy satin and jute ribbons to inspire me so I went to work and this is what I came up with. The colors and prints are bright and fun. I layered lots of the tags and embellishments that came with the papers and set it on a punched circle die from Spellbinders. To finish the card and make it that much cuter, I added the navy blue organza with satin center ribbon to the tag so that it stood up at the top tied with just a bit of navy jute string to match it. And I had a cute metal flower and button in my stash to add on top of that. Here is a closeup of the Spellbinders die that I used for the back circle and the other cute pieces that came with the paper line. I really like this one and it all started with that cute sentiment and I just added on from there. I am normally not much of an orange person but I think this works really well together. 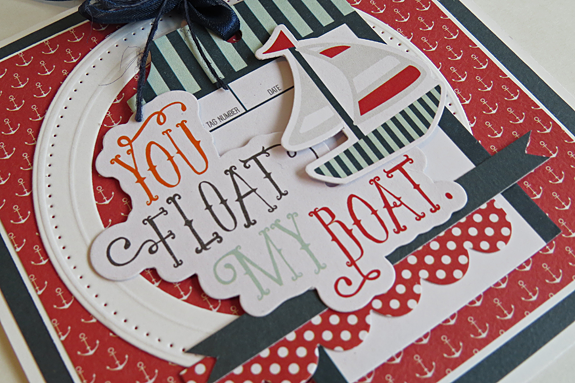 Love that little dot for the background and the wave paper was just perfect. 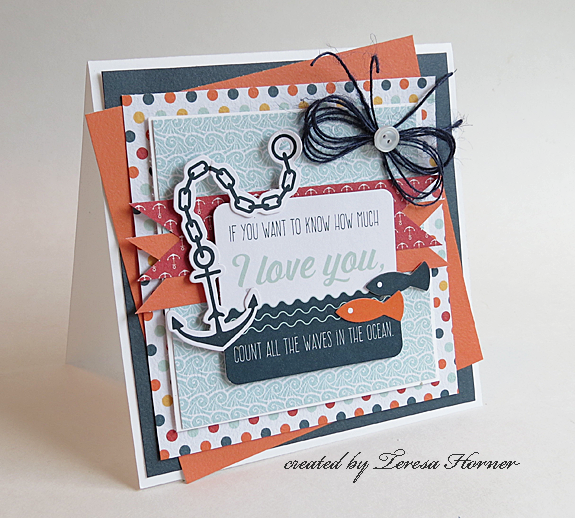 To finish it I tied a cute bow with jute string in navy and you can find lots more colors here.... it such a good addition on cards because it's so lightweight for mailing and not so bulky either.